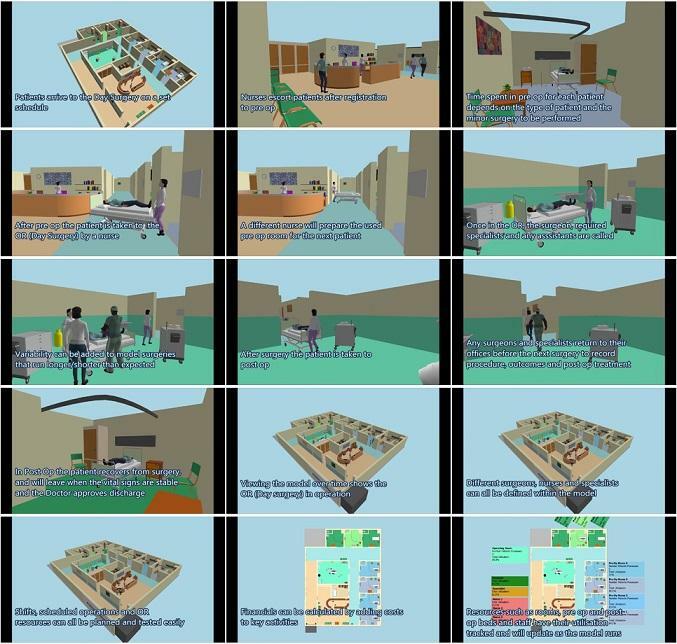 The National Health Service (SSN) Simulation and Optimization Service (SOS) laboratory is intended as a technological and scientific support for research, through feasibility studies based on computer simulation and optimization, and possible improvements to SSN services provided by accredited providers. Service modeling can be developed at different levels of detail to consider activities, resources employed and a three-dimensional and dynamic view of the model itself. The main goal is to represent the assistance pathway of users of one or more providers - and the various constraints and goals to consider in identifying and designing improvement interventions, including health and economic ones. The SOS-SSN laboratory is born from the collaboration between Prof. Massimo Maurici, Eng. Luca Paulon (Engineer, PhD in Mathematical Models and Techniques for Technology and Society) and several entities operating in the Lazio Region within the SSN services. The Lazio Region, through FILAS spa, finances in 2013-2014 one of these projects, the BuS-4H, as part of the simulation and optimization of childbirth health care services and, in the 2012-14 Regional Vaccination Plan, attributes to another project, QuaVaTAR (Quality in Vaccination: Theory And Research), great value for assessing the quality of vaccine services. The SOS-SSN lab is born precisely with the aim of not dispersing the energies and the skills so far developed in order to make them available to the SSN and to anyone who provides healthcare at any level. Professional training of all stakeholders, targeted in particular at the empowerment of service users and at a more aware expression of informed consent.